Who doesn’t like cheese? Nobody, that’s who. 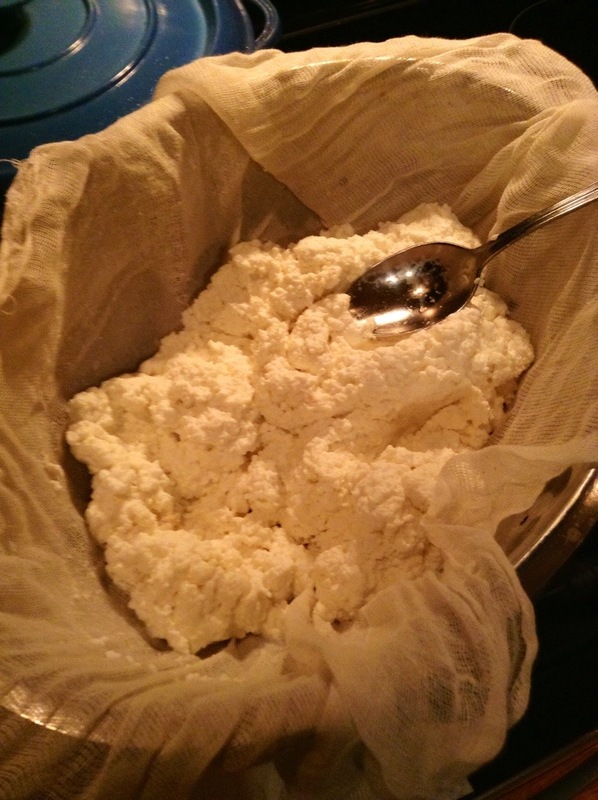 Luckily, I’ve found out how to make some cheese at home, for those who want to try something new. It’s easy, fast, and definitely a great way to spend some time on a snowy day like most of us Northeasters had today. 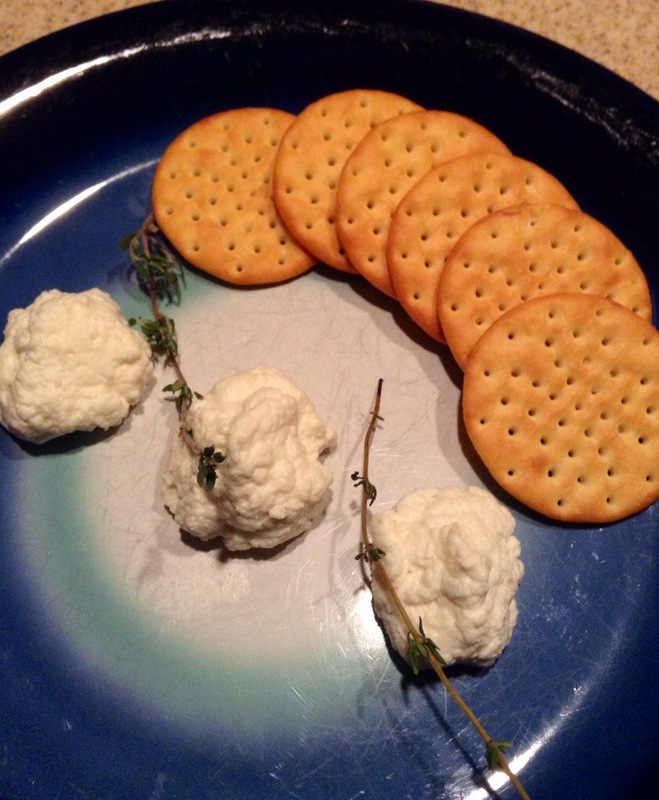 So I decided on goat cheese, but this recipe can be made with any milk. Just make sure it isn’t ultra-pasteurized. Here’s all you need to make some tasty cheese. Certainly not that much. Note: you’ll also need some cheesecloth, which runs about $5. This can be washed and used again in endless ways while cooking (though I’d only use the cheesecloth one or two more times). A worthwhile investment. Also, a thermometer is very helpful here. 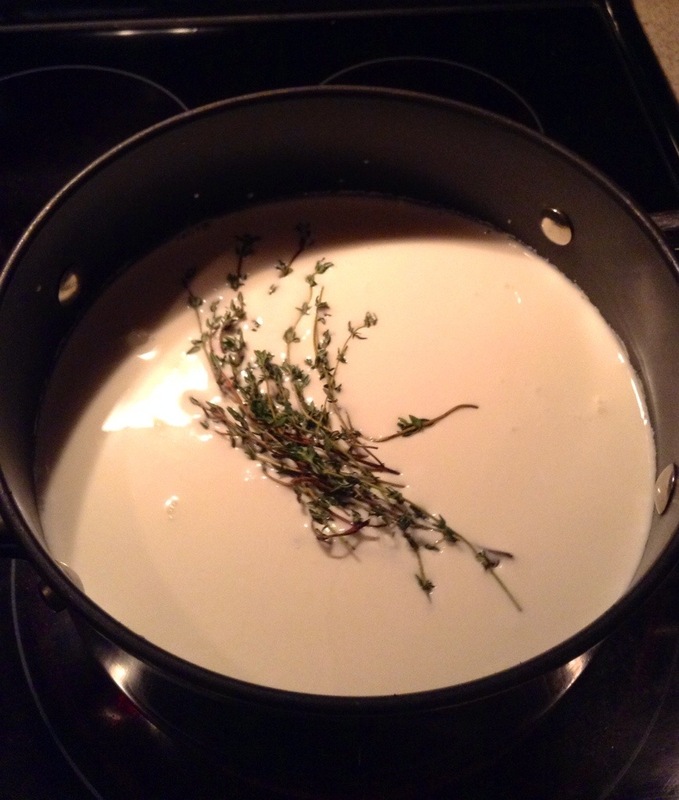 Place the milk and cream in a large pot with the thyme. Bring the milk up to 185 degrees (F), making sure that a skin doesn’t form and that the milk doesn’t come close to boiling. 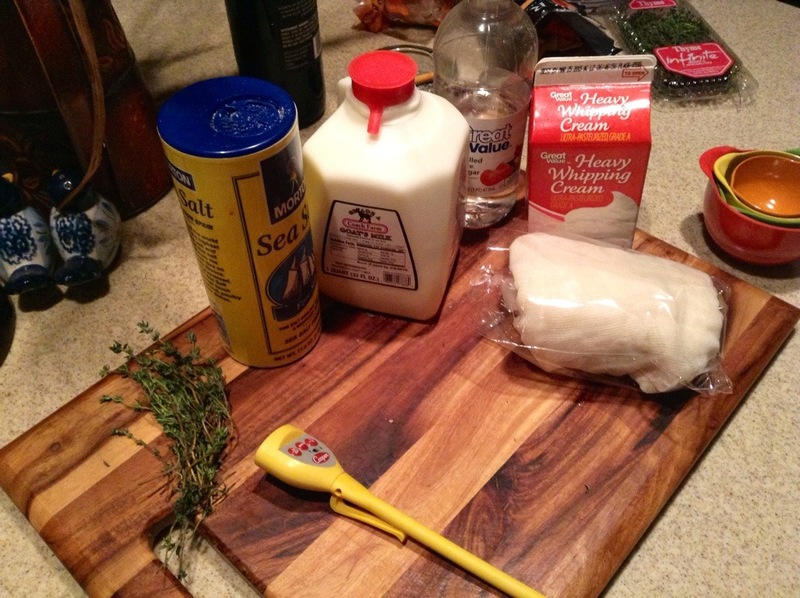 When the milk comes up to temperature, remove the thyme and add the vinegar, stirring only a few times to incorporate. Let curdle. It will look weird at first, but I promise this cheese is awesome. 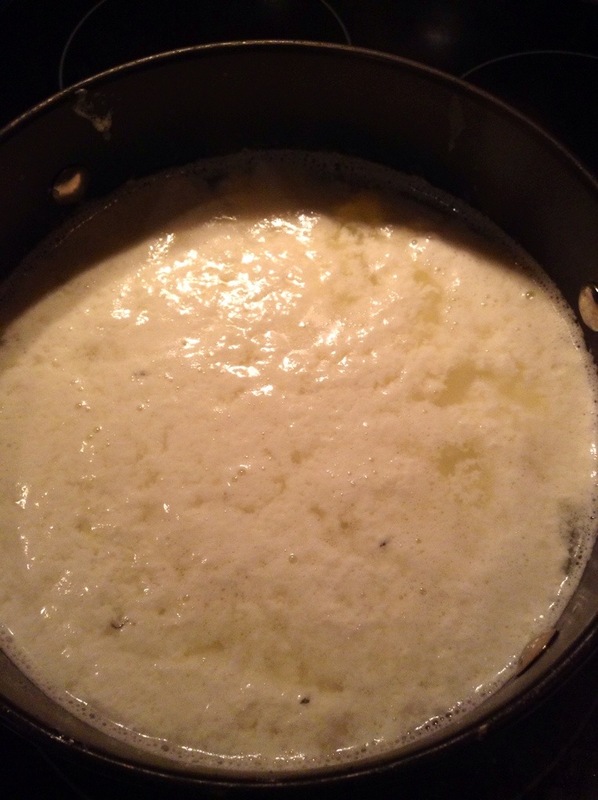 After the milk curdles, take it off the heat and let stand for at least 10 minutes so the curd can form. 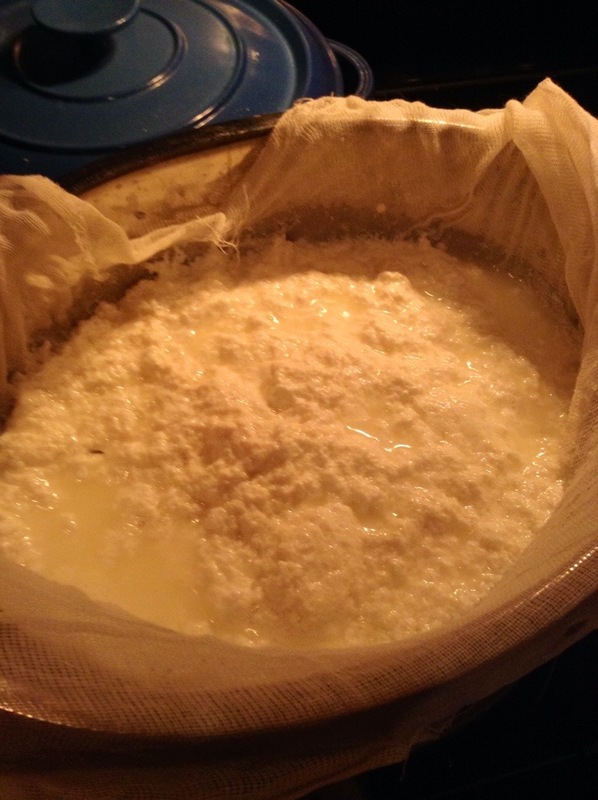 Strain the cheese into a colander lined with cheesecloth. 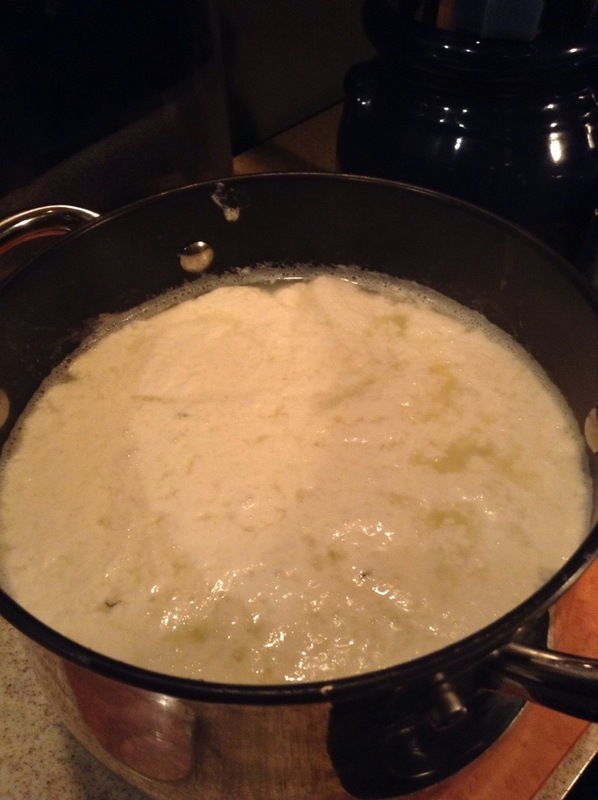 The leftover liquid can be discarded or saved and used to make ricotta cheese, to add protein to smoothies, or to braise meats. It should take another 10 minutes or so for the cheese to drain. Add a tablespoon or so if salt to taste and help with the draining process. After the cheese is drained, it’s time to eat! It’s seriously that easy. Whole process took me maybe two hours. Still plenty of time for more activities on a blizzard day (I’m just assuming there will be more before winter is over, but this can be made anytime you’re feeling like some fresh cheese). I tried to form mine into kisses, they came out more like small pyramids. Not sure if that made it better or worse. The cheese itself, however, was delicious. 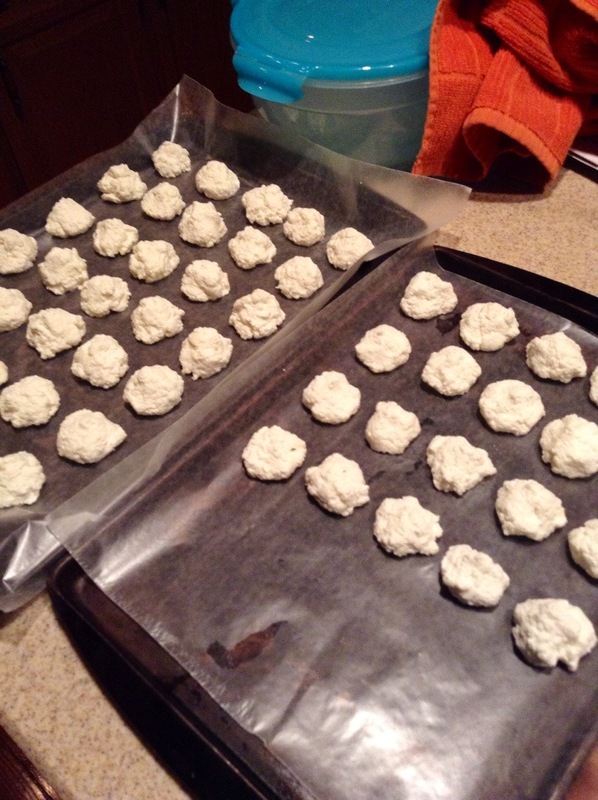 After cooling the cheese for about 30 minutes, they formed and solidified into just the right consistency. Feel free to just keep it in a container to spread on crackers if pyramid shapes aren’t your thing.